Houseboats Complete for the Year! 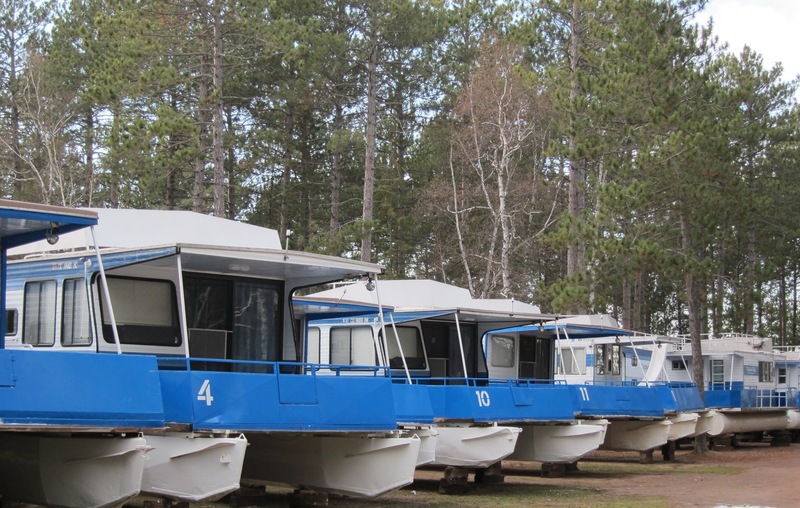 We have finished pulling all of the houseboats out of the water for the season. It’s always a big job. Once they are out of the water and safely back to resort we begin the scrubbing, sand blasting and painting of the pontoons. Once they are sandblasted the first coat of paint needs to put on before we have any rain so they don’t rust. Then the final coat of paint needs to be applied while the temps are still above 50 degrees. So time is of the essence. This year we finished yesterday and last night received our first bit of snow! True, we will still have some nice weather this season. But it’s one big job complete!